"with deepest sympathy over the death of your dear love..."
"Played football & baseball for Coach Brady at St. James..."
"Our heartfelt Sympathies to Mrs.Annette, all the Boys & the..."
"I was saddened to hear of your loss but rejoice that His..."
"I played for Coach Brady at Nicholls. I remember him as an..."
Glenn Martin "Coach" Brady left us on Sunday morning, February 3, 2019. We miss him. He was born on September 30, 1935 in Liberty, Texas. The oldest child of Thadlie and Tully Brady and the brother of Don Brady (deceased), Ann Holland and Jan St. John, Glenn grew up in Port Allen and Clinton. After graduating from Clinton High School with athletic and academic accolades, he earned a degree from Stephen F Austin College, whereupon he married his high school sweetheart, Annette Matthews, and began his journey as a husband, father, teacher and coach. During a 25-year career in education, he earned a PhD from LSU and coached and taught at several high schools in South Louisiana and colleges throughout the country and across the Atlantic. His teams mostly won. More importantly, Coach Brady touched the lives of thousands of students and players. Coach Brady hung up his whistle in 1981 to focus on managing the family farm in East Feliciana Parish. However, his loyalty to the town of Zachary and his hometown of Clinton led him to interrupt his retirement twice. First, in Zachary he was called to serve as interim Superintendent to lead the effort to create the independent Zachary School District. A few years later his hometown came calling and he responded, serving as Superintendent of the East Feliciana Parish School System for several years. 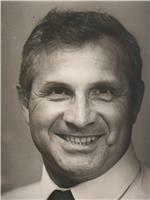 Coach Brady's loyalty to education and coaching was matched by his devotion to his church. He and his family were members of Southern Baptist churches throughout the country. More than a mere member, Coach Brady taught Sunday school, served as deacon and preached in a pinch. Coach Brady leaves behind a loving team that includes Annette, his wife of sixty years, his sons Shawn, Pat, Mike, Scott and Warren and their respective spouses Suzanne, Anne, Elizabeth, Eleonor and Melissa, and a wonderful bunch of grandkids: Matt, Gulliver, Orion, Sebastian and his spouse Megha, Owen, Delaney, Carolyn, Evelyn, Aldin and Wes. This crew is rounded out by Coach Brady's sisters, Jan St. John and Anne Holland, his brothers-in-law, Don St. John and Marvin Holland, and his sister-in-law Sarah Brady, and their children. Beyond family, Coach Brady was blessed with the friendship of his many former peers, players, students, coaches, church members and homefolks. The family invites all to a visitation at the First Baptist Church of Zachary on Wednesday, February 6, 2019 from 5pm until 7pm and then on Thursday, February 7, 2019 from 9am until funeral services at 10am. Pallbearers will be Coach Brady's sons and friend Ronnie McMorris. Share sympathies, memories, and condolences at www.CharletFuneralHome.com.